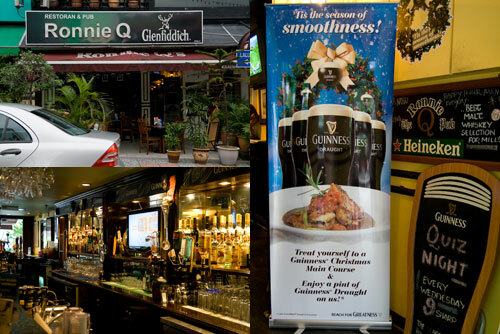 Bangsar is one of the places I haven’t really explore that much as far as food goes, so it was a good opportunity for me to head there with my buddy Horng when I was informed of Ronnie Q restaurant and pub‘s involvement in the Guinness-infused Christmas main course promotion. If you haven’t found out already, there are quite a few restaurants that are running the same Guinness-infused Christmas Menu (including Cafe Chulo at Jaya One I wrote about earlier, and more to come on this blog). 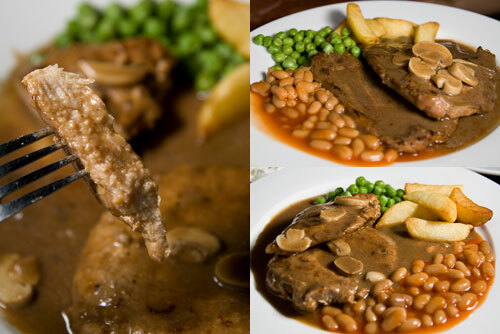 For the promotion, there is the Guinness-infused lamb chop, pork chop, and Hainanese pork chop. Horng and I decided to skip the poultry and went for lamb chop and pork chop instead. We also ordered deep fried calamari as appetizer. The combination of deep fried calamari with Guinness turned out to be excellent. 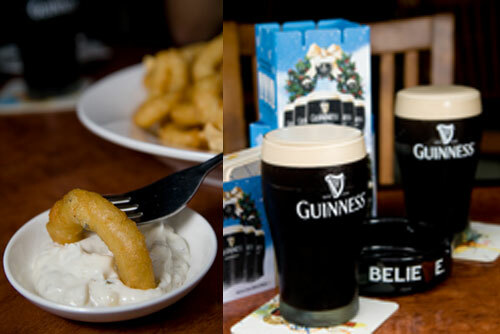 The big, fat, and juicy squid ring’s saltiness paired with the slight bitter after taste of Guinness Draught brings out the flavor of the seafood even more. Brilliant. The pork chop and lamb chop didn’t disappoint either. The sauce clearly carries a pretty distinct and yet subtle hint of Guinness in it. I do think while being a little unorthodox, the extra ingredient does add character to the otherwise pretty simple dishes that were served with potato wedges, baked beans, green beans, and some sliced mushrooms. The portions were rather generous too. An appetizer, two main dishes, and two pints of Guinness Draught at Bangsar, I would think the bill might be a little steep, but when the server handed me the bill, it was only RM 60.95. I almost couldn’t believe it, a very, very good deal indeed. Good food, great drinks, and of course, as an added bonus, you get to sit alfresco and enjoy watching the ladies walk by the busy street that is Bangsar Telawi 2.
why u so quizzy lately!! 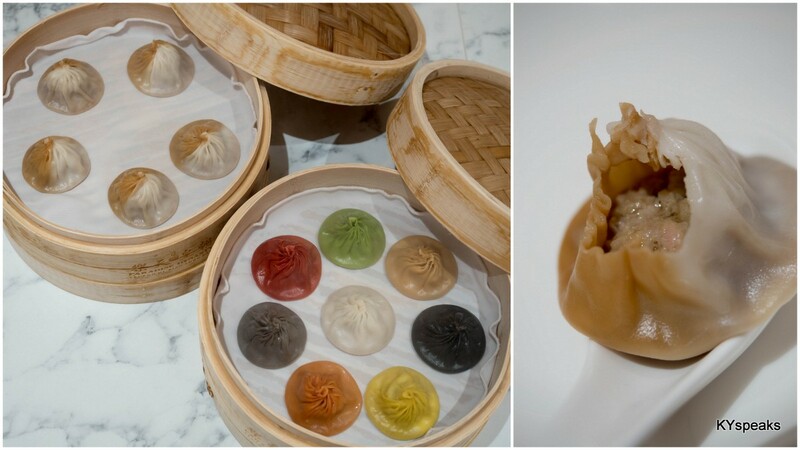 Wow .. looking at the pictures I suddenly become very hungry! 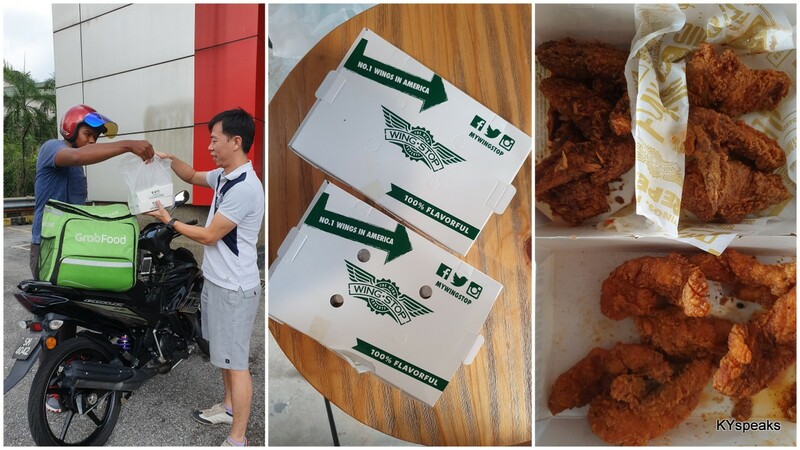 Next time I go Bangsar I must give it a visit! 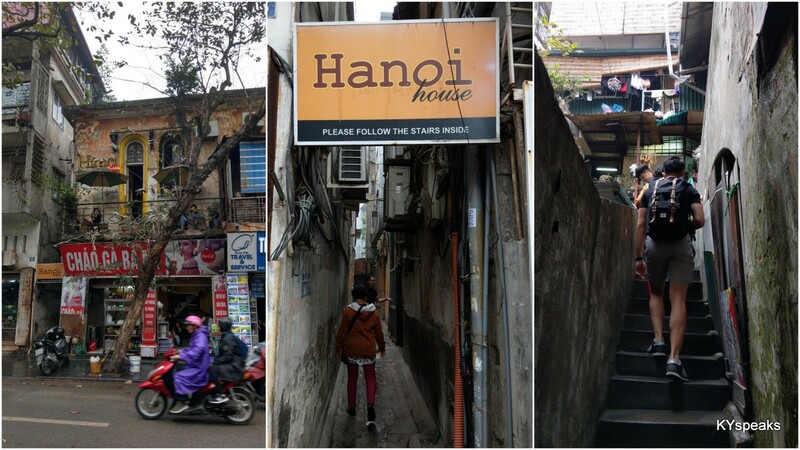 My friend has a lingerie shop at Bangsar Village 2 by the way. Going to post out the pictures at my site soon. Oh, mention my name at Bruttal and you will get a 10% discount 🙂 No kidding you mate. 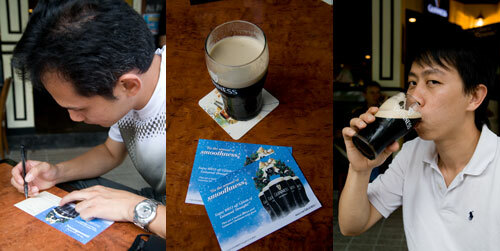 Did Guinness really help to bring out the taste of the food instead of covering the actual tast of the food? I must try already!! This is interesting… more so because there Guinness Draught!!! alamak…the lamb chop too much of red beans and green beans…shud add some sauted veges or potatoes…. wow the juicy meat looks awesome! …and that was more than 12 years ago! “I almost couldn’t believe it” haha that was funny. So were there any pretty ladies that walked past?!! wah so sweet of you. Just LUUUURRVE the look of a perfect pint, inviting that first sip! And baked beans with main meals, very English!